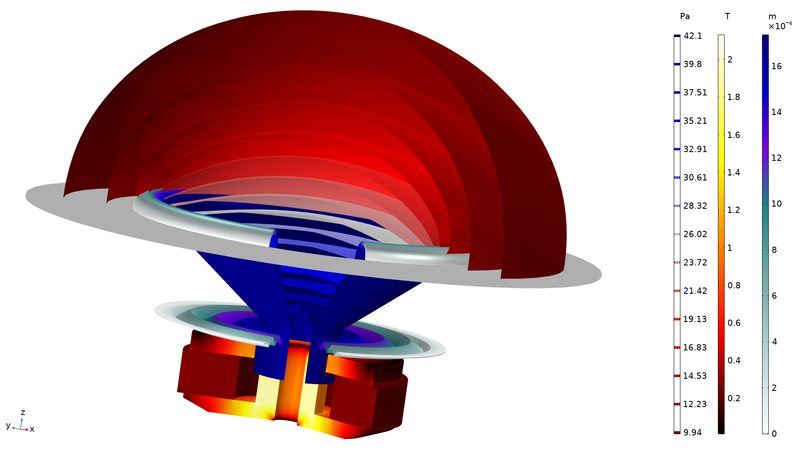 For users of the AC/DC Module, COMSOL Multiphysics® version 5.4 offers ready-to-use parts for coils and magnetic cores; electric currents and Joule heating in thin, layered structures; and force computations for nonlinear materials using virtual work. Browse all of the AC/DC Module updates in more detail below. The new Electric Currents, Layered Shell interface is used to compute currents and potential distributions in thin conducting layered shells under conditions where inductive effects are negligible; that is, when the skin depth is much larger than the studied device. The interface supports stationary analysis on surfaces in 3D. The Heat Transfer Module contains similar functionality, with heat transfer in layered shells. 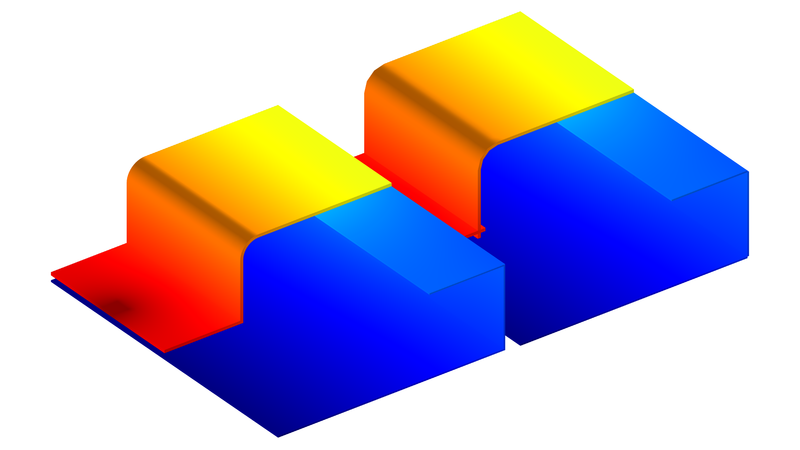 When these two modules are combined, you can analyze Joule heating in layered structures. 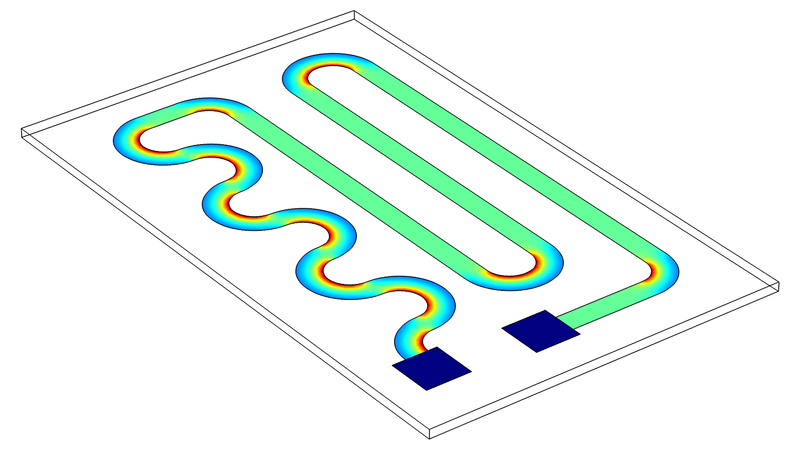 Furthermore, by combining this functionality with the new Composite Materials Module, you can simultaneously analyze Joule heating and thermal expansion in layered structures. The electric potential distribution on the surface of a PCB coil with vias. The electric potential distribution on the surface of a PCB coil with vias. 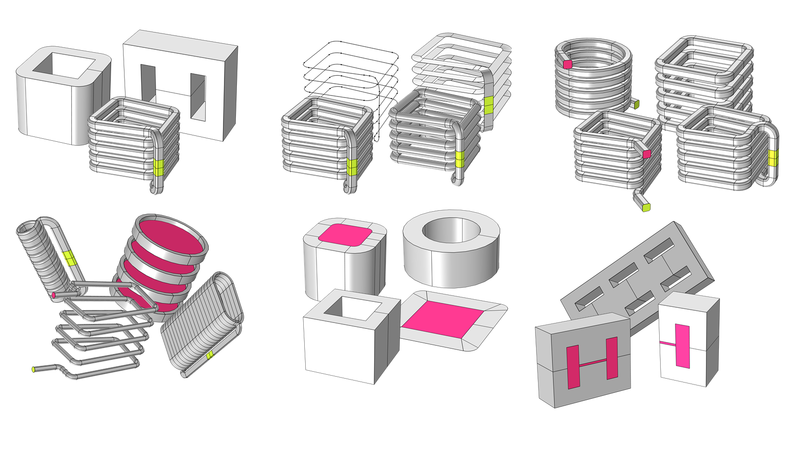 A new Part Library in the AC/DC Module includes a variety of coil and magnetic core shapes. This new Part Library enables faster model setup when analyzing transformers, inductors, motors, and actuators. The parts are fully parametric solids, surfaces, and curves, and they can be combined into more complex shapes as needed. Important selections, such as feed boundaries, are automatically generated. 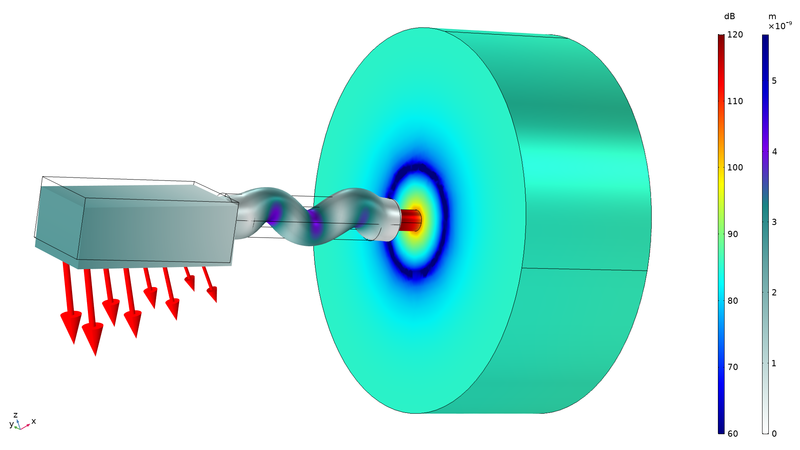 The new Part Library in the AC/DC Module includes fully parametric coils and magnetic cores. 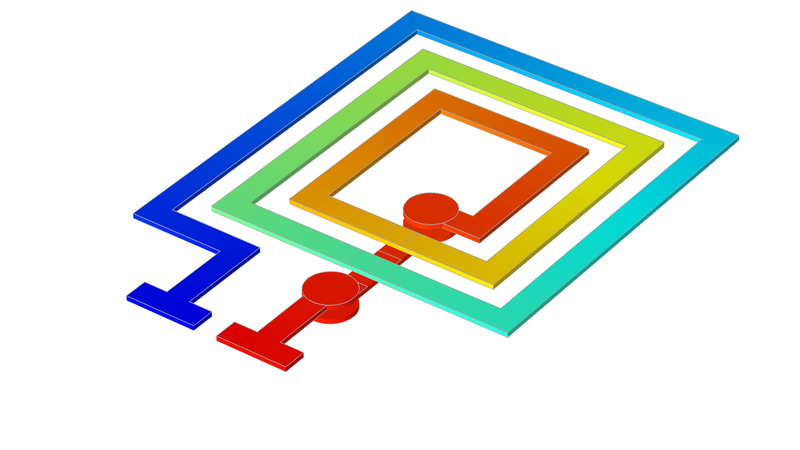 The new Part Library in the AC/DC Module includes fully parametric coils and magnetic cores. The magnetic energy density is now defined for nonlinear magnetic materials characterized by a B-H curve, as well as the magnetic coenergy density. Energy and coenergy are useful when computing magnetic forces by the method of virtual work, which is generally more accurate than using the Maxwell stress tensor. 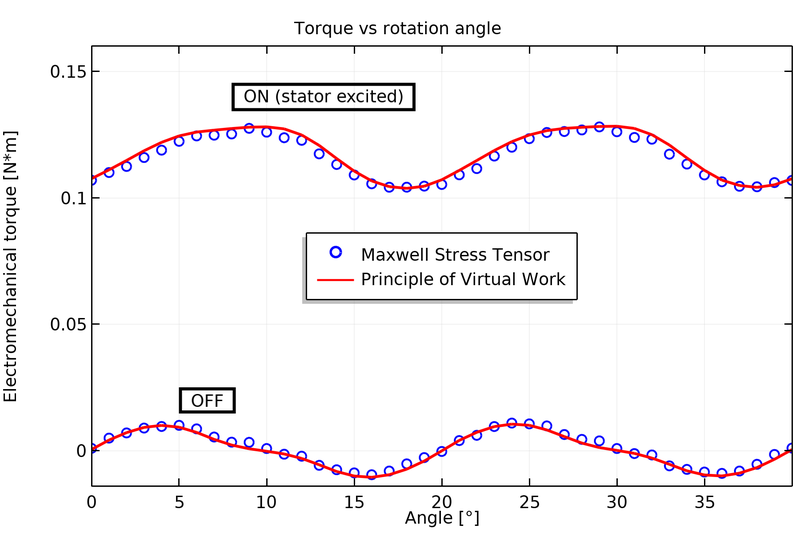 The method of virtual work gives the total force and torque, and it is mainly applicable when considering parts to be rigid — a common assumption used when modeling, for example, motors and actuators. This modeling approach is supported when combined with the Moving Mesh and Sensitivity features. An animation of a three-phase synchronous machine with surface-mounted permanent magnets (blue/yellow) computing the magnetic flux density (top legend) and current density (bottom legend). The magnetic saturation model has been improved by removing a requirement of duplicating input data in interpolation functions for the B-H curve and its inverse, the H-B curve. This reduces the workload by a factor of two when setting up a new user-defined material by starting from, for example, the Soft Iron material in the material database of the AC/DC Module. 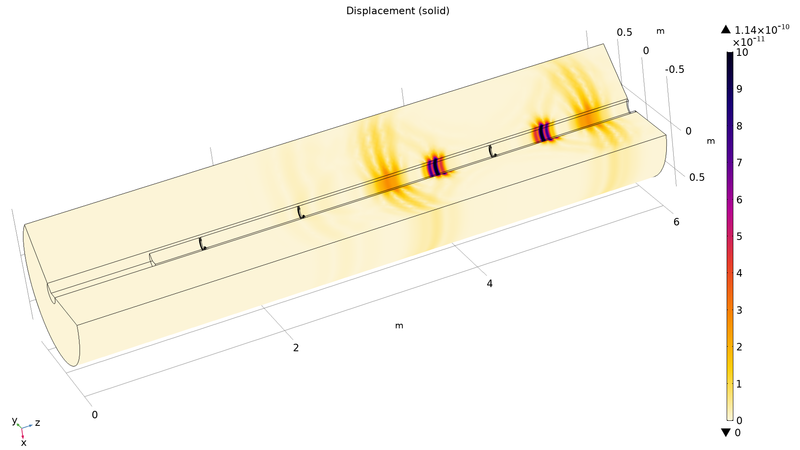 Electric potential distribution on the surface of a PCB coil with vias, modeled using the layered shells technology. Comparing the electric potential distribution for a solid (left) and layered-shell representation (right).